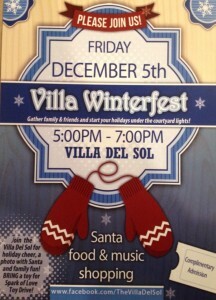 Come join the winter fun at Villa Winterfest on Friday, December 5th 5pm-7pm at the Villa Del Sol! There will be an oppertunity for a photo with Santa in addition to lots of family fun! Bring a toy for Spark of Love toy drive! 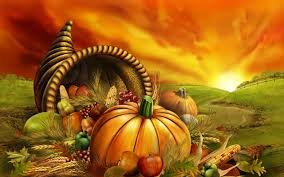 The Brownstone Cafe wants to wish you a happy and healthy Thanksgiving! The Brownstone will be closed on Thanksgiving Day. Don’t Miss Our Fall Favorites Menu! Time is running out to experience the Brownstone’s delightful Fall menu! Don’t miss your chance to munch on pumplin pancakes, pumpkin bread pudding, and much more!